glad you both are having fun! and vocalization isn't always possible anyway, as i've mentioned. i should give examples of rebuses that look the same and yet the words themselves sound nothing alike! ok, here's a nice little exercise! now that you've been armed with some basic words, have a look at this map of china and see how many of the provinces now have names you understand the meanings of. the capital cities are also included. and even if you don't know the character, i'm sure for many, you at least know what category the character belongs to and therefore some idea of its root meaning. NOTE: names in biggest font are provinces, smaller are cities. blue are bodies of water. ok, here are some examples of proof that rebuses are bad guides to pronunciation. again, keep in mind that, due to tonality, many of these words can be pronounced differently depending on meaning. i'm noting the most common pitch as related to each character's most commonly used meaning. also, just giving some examples as opposed to the entire list of characters containing these rebuses. NOTE: i'll be cheating a little--a few of the characters to the right actually have the rebus as their radical, but even these differ in sound from their rebuses. do you have a headache now? For Tibet, the first character is West, the third one is white and the fourth one has the root of water in it, if I'm not mistaken, so, it might be a story of white water flowing to the west ? The green one near Shanghai has the word "quiet " in it. Just on the left of this one, there is " lake of the north " and on the right of Chongqing, there is another province with " lake " in it. If I'm not mistaken, in the xinjiang, the 7th charcter from the left has the root of the water and it's combined with Tai as in Taiwan and Taipei, and the 6th character is "white" ; the 4th one seems to be a combination of the character for " wu" (five) on the top and "kou" (mouth)on the bottom. Tianjing has the word for "sky" in it. 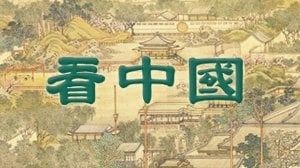 Unless I'm mistaken, it seems to me that Tianjing might have been a capital in the past, so, it might be " the sky of the Jing dynasty " ? It's funny to see that the charater "qian" means "owe" and it's contrary "lack" ! reinafu you're doing great! thanks for not cheating by looking at a map of china with the english transliterations. you guessed sichuan correctly! as well as the character for "west" in tibet, the meanings of shanxi (north of the mountain) and hebei (north of the river), the first word of anhui ("quiet" first word) and tianjin ("sky" first word). let me add a list of the provinces' and major cities' names below the map--maybe that'll be easier to read than looking on the map. as to your comment about "qian"--i'm not quite sure what you mean! reinafu just so you know, 自治區 means "autonomous region". the first word is similar to "white" 白 but it isn't the same word--there's an extra line in the middle. the second word is indeed similar to the first word of taiwan, although the meaning is different as is the pronunciation; 治 "zhi" means govern. the term literally means "self-governing region". for tianjin 天津, its full meaning is sky ferry. 日 "re" (sun, day): "yut"
金 "jin" (gold, metal): "gum"
上 "shang" (up): "serng", 下 "xia" (down): "haa", 中 "zhong" (middle): "joong"
左 "zhuo" (left): "zaw", 右 "you" (right): "yaow"
大 "da" (big): "dye", 小 "xiao" (small): "siu"
天 "tian" (sky): "teen", 地 "di" (earth, ground): "day"
說 "shuo" (explain, say, refer to): "shute"
河 "he" (river): "haw", 江 "jiang" (large river): "gong", 湖 "hu" (lake): "woo", 海 "hai" (ocean): "hoi", 清 "qing" (clean, clear, pure): "tsing"
是 "shi" (to be (is)): "see"
要 "yao" (want, will, shall; need; important, essential): "yeew"
會 "hui" (can, able; meet, meeting; society, union, party): "wui"
行 "xing" (go; walk): "hung"
做 "zuo" (to do): "zoe"
家 "jia" (home, house, family): "gaa"
聲 "sheng" (sound, voice, tone): "sing"
兒 "er" (son, child): "yee"
樓, 流, 留, and 劉 are homophones in canto, but they aren't in mandarin ("lou", "liu2", "liu2", "liu2", respectively). 意, 儀, 易, 亦, and 藝 are homophones in mandarin, but they aren't in canto ("yi3", "yi4", "yi6", "yik6", "ngai6", respectively; please take pitches with grain of salt--dictionary not entirely accurate for some i've come across, but anyway, the point is that they're different). sorry, forgot to mention: the other two words refer to political regions and not map. map is 地圖 "ground drawing". Looking at some vcd karaoke, I had recognized some Cantonese words thanks to the Chinese characters, and for me, it's a very difficult language. When I think that you said that there are 9 tones in Cantonese !! Not a surprise that I don't understand anything !!! Regarding the character qian I talked about above, well...Doesn't " owe " mean "to have something " and, on the contrary, "lack" means "to miss something " ? That's why I found this funny for the same character to have so different meanings. mandarin is definitely the more musical and softer of the two dialect. can't argue that! hahaha, "been goh, ah?" vs "shi shei" mandarin is spoken like it's written; canto is not. ummmm... "owe" means "in need of repaying someone back for something". i, er, think you've confused it with "own", which does mean "to be in possession of something". mmmm... i can see why you were confused! Oh, yes, you're right, I mistook the two words !! thnaks fro pointing it out ! NOTE: something they didn't make explicit is the fact that in chinese, there is only one verb form--no conjugations. to indicate things like past or future or conditional, specific terms are used. i've just updated my list of common words. and that's it for my "lessons" in chinese. feel free to ask questions! i'm also hoping the other mandarin speakers can also come out of the woodwork and help (and provide corrections for any errors)! me teaching mandarin is as equally preposterous as the "laowai" in the videos above--and he knows way more than me! here are some common and popular wuxia-related terms. armed with what you now know about the chinese language, see how many you can now categorize by radical! i'm not providing the pinyin because those can be easy clues.